The Venue Residences and The Venue Shoppes is a new mixed use residential and commercial development situated within an established residential estate at Tai Thong Crescent (Parcel C). This significant mixed condominium and shopping mall is developed by reowned City Development (CDL) with vast experiences. Comprised of 266 exclusive condominiums and 28 commercial units (Retail Shops, F&B, Restaurants), surrounded by low rise landed housing in Sennett Estate, it is set to rise in the heart of District 13 in city fringe. And importantly, commercial properties are becoming limited in supply. Own this Property before the retail spaces run out. Don’t miss out this opportunity. SMS 'Venue' & YOUR NAME TO (+65) 91259978 (Alvin Tay) for MORE INFO & TO BECOME OUR VVIP Preview CUSTOMER. Rare mixed residential and commercial development in Potong Pasir, Macpherson. City fringe District 13. Easy access to Ochard Road, CBD, MBS. Well connected via major expressway such as PIE, CTE, Upper Serangoon Road. Residential above retail mall. Doorstep to amenities. High rental demand with Potong Pasir MRT 3 mins walk away. 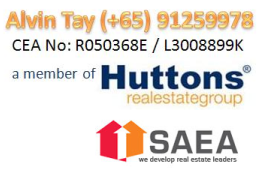 Near to Paya Lebar Mega Hub and Kallang Commercial Hub. Surrounded by landed properties within Sennette Estate. Surrounded by established amenities and popular eateries. within 1 km to Top School St Andrew. No restriction to foreigner ownerships. Venue Residences will be well connected, whether by drive or public transport with nearby Potong Pasir MRT connected on North East Line. Connected by Upper Serangoon Road and Macpherson Road, drivers of Venue Residences will enjoy the easy access to all parts of the island through the well connected major arterial roads such as Upper Serangoon Road, Central Expressway (CTE) and Pan Island Expressway (PIE) with just stone throw away! • 266 exclusive residences with retail units on the ground floor. * For Latest information, Check up here.